For more information, please call Carol Watkins (661) 759-6042. 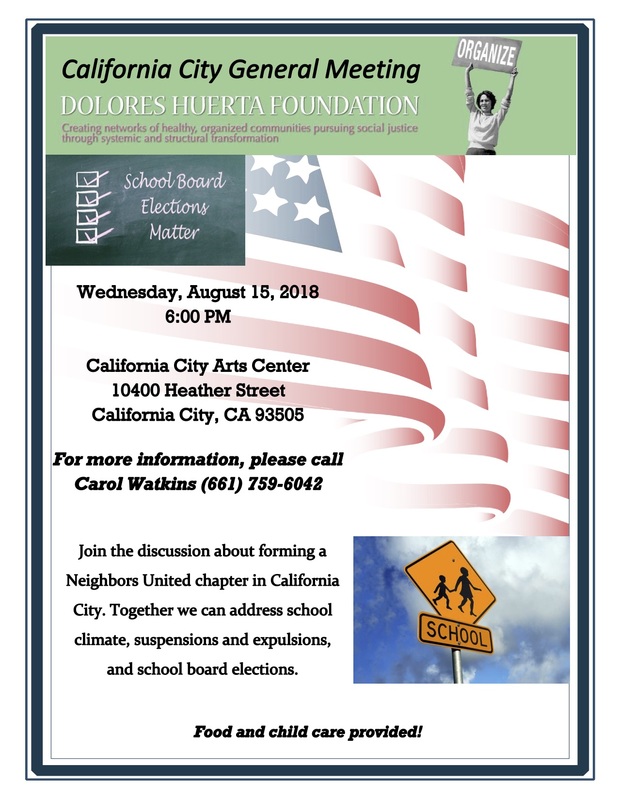 Join the discussion about forming a Neighbors United chapter in California City. Together we can address school climate, suspensions and expulsions, and school board elections. Food and child care provided!